One of the world’s smallest frogs, barely longer than a grain of rice has been discovered in Madagascar – and it’s been called the Mini mum. The new species of miniature frog is just one of five that have recently been spotted on the island off the coast of Africa. Another has been named Mini scule and the largest, at a ‘whopping’ 15mm, is the Miniature. Scientists at Ludwig-Maximilians-Universitaet (LMU) in Munich and the Bavarian State Collection of Zoology say the Miniature can easily fit on your thumbnail. Madagascar, the world’s fourth largest island, is a little bigger than mainland France and is home to more than 350 frog species. But this number of recognised species is constantly rising, and many of the newly named species are very small. The five new species belong to a group of frogs commonly referred to as ‘narrow-mouthed’ frogs. The highly diverse family is found on every continent except Antarctica and Europe. 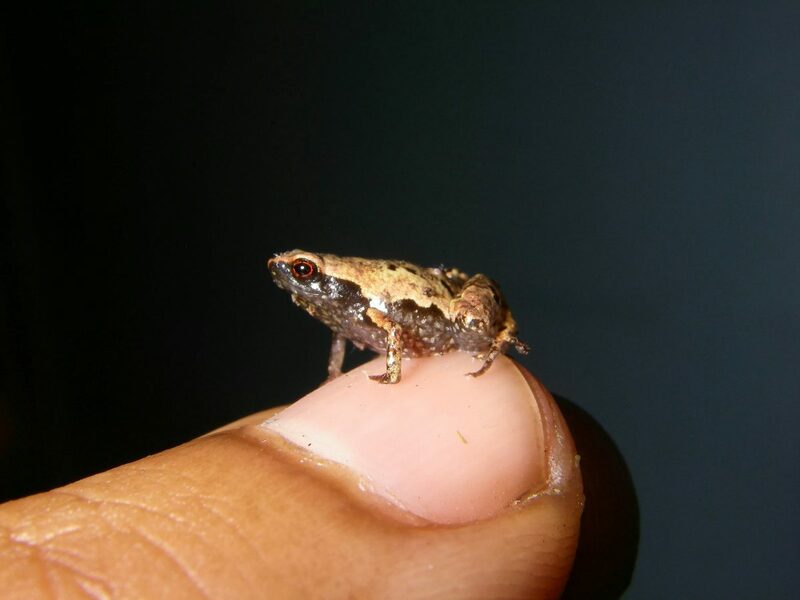 Although most narrow-mouthed frogs are small to moderately large, many are tiny. 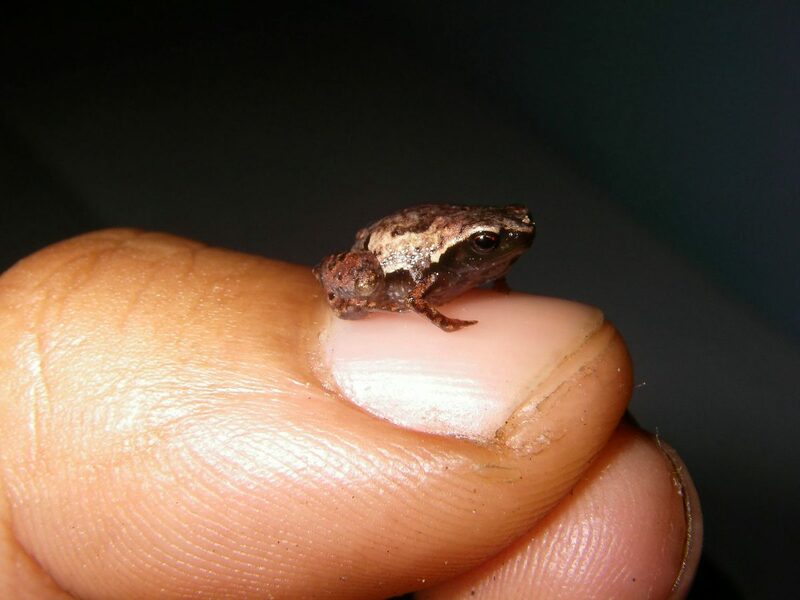 The smallest frog in the world – the Paedophryne amauensis from Papua New Guinea – is from this group. Adult frogs only grow to around 7.7 millimetres long. The team behind the study say three of the new Madagascaran species belong to a group that is wholly new to science, which the authors have formally dubbed Mini. Mini mum was found in eastern Madagascar and is one of the smallest frogs in the world, with males growing to 9.7mm and females growing to 11.3mm. Miniature is from Andohahela in southeast Madagascar is the largest of the three but has a similar build. ‘Miniaturisation’ of frogs is believed to help them access new food resources that are not available to larger species of frog. 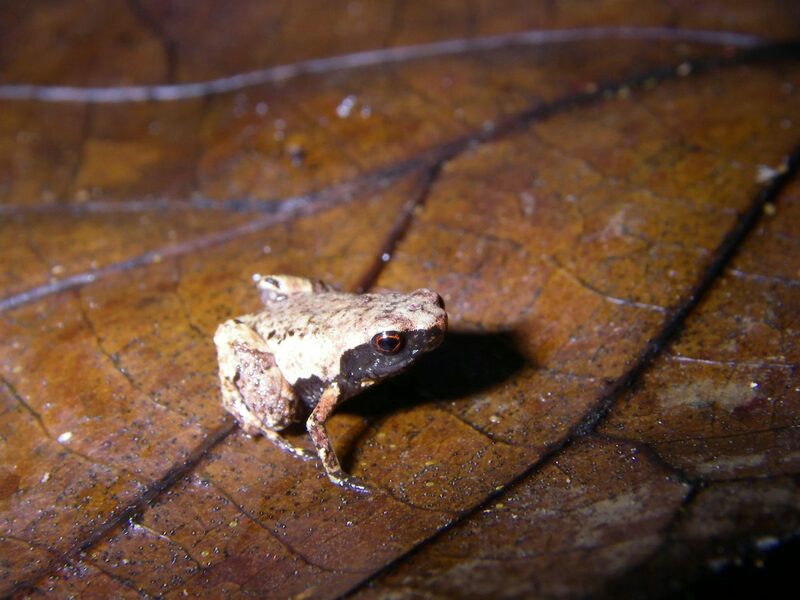 The other two new species, Rhombophryne proportionalis and Anodonthyla eximia, are just 11 to 12 mm long, and are much smaller than their closest relatives. Rhombophryne proportionalis was found in Tsaratanana, northern Madagascar and is unique among Madagascar’s miniaturised frogs in being a proportional dwarf. Anodonthyla eximia from Ranomafana in eastern Madagascar is distinctly smaller and has adapted to living on land, which scientists say suggests miniaturisation and adapting to life on the ground may be evolutionarily linked. The study was published today in the online journal PLoS ONE. Lead author Mark Scherz, a PhD candidate at LMU Munich, said: “When frogs evolve small body size, they start to look remarkably similar, so it is easy to underestimate how diverse they really are. “Our new genus name, Mini, says it all. Dr Frank Glaw, Head of the Herpetology Section at the Bavarian State Collection of Zoology in Munich, said: “Calling males often sit one or two leaves deep and stop calling at the slightest disturbance.